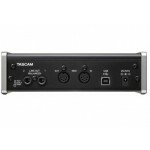 The lightweight TASCAM US-800 interface adds great-sounding multichannel recording and MIDI to you..
OVERVIEW USB 2.0 audio interface with on-board DSP mixer and up to 96/192kHz recording. 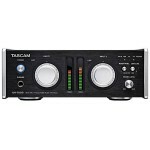 The Ta..
OVERVIEW 2-channel audio interface with 2 Ultra-HDDA mic preamps. 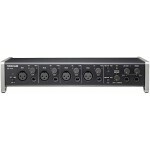 TASCAM's US-2x2 features..
OVERVIEW 16-input audio interface with 8 Ultra-HDDA mic preamps. 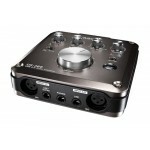 The TASCAM US-16x08 captu..
OVERVIEW High-end USB audio interface. 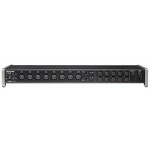 The UH-7000 is a pro-level microphone preamp and au..